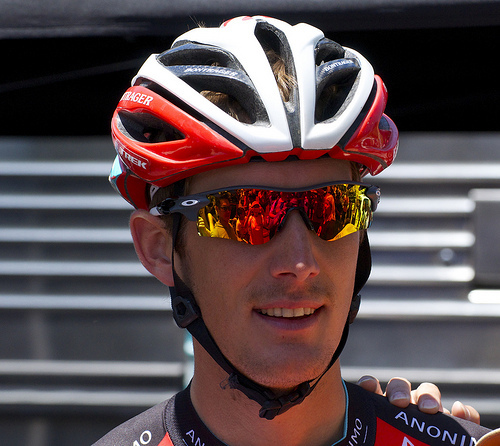 A Schleck in the right direction? Many Schleck fans and other optimistic types saw Andy’s performance in the 2013 Tour de France as a solid come-back – miles away from contending, as he always would be, but showing promising signs of recovery. There’s no doubting a 20th place finish is a big achievement after a couple of year spent battling back from serious injury. Schleck fractured his pelvis in crashing at the Criterium du Dauphine in June 2012 and has since struggled and stuttered to make his comeback, his body apparently rebelling against a return to the road. After an aborted comeback in the Tour of Beijing later in 2012, Schleck staggered through 2013; failing to finish in the Tour Down Under, Tirreno Adriatico, the Tour Mediterraineen, the Tour of Oman and the Amstel Gold Race, and managing a smattering of unremarkable results in-between. He eventually found some form to place 25th overall at the Tour of California in May. Couple this with brother Frank’s absence through a one year doping ban and it’s been a long and lonely year for Schleck the younger. Despite his improved performance at the Tour de France there are still doubts as to whether we will ever see him contending at the sharp end of a Grand Tour again. In the 2013 Tour I saw a man who battled gamely, who had a few good days and a few bad ones, but who ultimately might just have lost the stomach for the fight. On more than one occasion, at the end of the more brutal mountain stages, he had the hollow, slightly desperate expression of a man who had dug as deep as he was prepared to. If he was in pain, he didn’t make a fuss about it, but it could be that he no longer has the will to keep going back for more. 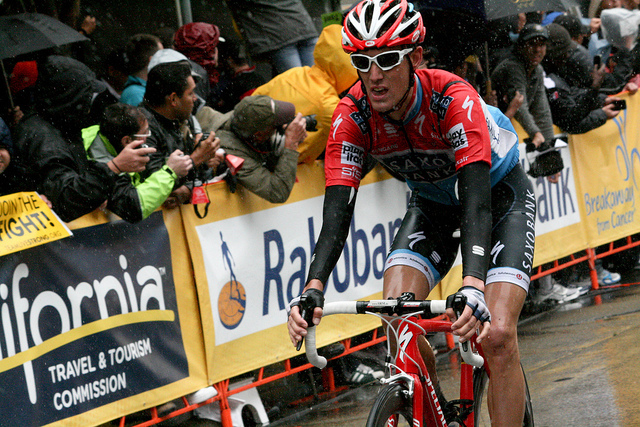 Of course riding Grand Tours is hard….very hard….and requires endurance and guts far beyond what most of us possess. There’s no shame in saying you’ve had enough, especially after the kind of injury to make you wince at the mere thought of getting back on a bike. If we have seen the best of Schleck, he’ll be remembered not so much for his Tour win by default in 2010 (he was awarded victory retrospectively as a result of Contador’s ban ), but for his epic solo break in 2011, pulling clear with 60km to go through the mountains, and up to the summit finish on the mighty Col du Galibier; an attack in the old style, Eddy Merckx in tow, fist pumping in the commissaire’s car. I could easily be wrong – I’m no doctor – and I am making these observations whilst watching the action on TV from the comfort of my armchair…….but careers are ruined by injury all the time. 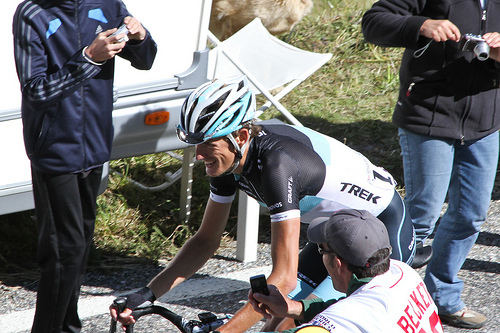 It could be that Andy Schleck’s best days are now behind him. Before the Tour started I felt he would be best losing time in the first week then riding with breaks in the mountains and seeking a win or the KoM Jersey. Nothing I saw during the race changed that opinion. Riding for the GC and finishing where he did doesn’t mean much with his palmares. I guess we will know the answer to your question by this time next year. You’re dead right, his performance was up and down and was hard to assess. I suppose I have a gut feeling really that he will struggle to up his game from here – to me he finished top 20 just riding from memory.